Have you tried Apartment searching? When I thought trying to buy was difficult trying to Rent is just as hard. Unless of course you have lots of money! 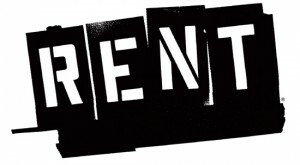 So as of recently my boyfriend and I decide to rent. It’s a lot easier then buying at the moment and it gives us a chance to keep looking for something we truly love before we decide to buy a home. We’ve spoken to a hand full of Realtor’s. Realtor’s complain that the market is doing bad, that they aren’t making that much money, yet every time I turn the corner to talk to one about finding a place to rent, they send a few things my way, I tell them I didn’t like what they sent and they stop there with out returning an email or a phone call. I contact a Realtor on a posting that is either on the MLX or Craigslist etc. Every time I have called about a Unit that I am interested in, miraculously it is already rented out. Explain to me one thing please? If that unit was just posted today how is it possible that it has already been rented out? I’m starting to believe that these realtor’s just post things that look really nice, so that potential renters can call asking to see the place, then when they do they tell them it’s rented out and maybe they can help them to find something similar to that unit. However, they talk the talk but they aren’t by any means walking the walk. Not one realtor has gotten back to me with potential places that I may want to rent out. Is it me, or do they really want the business? If I was a Realtor?!? If I worked in the industry, I would be on top of things. If a potential renter or buyer called me on a property they were interested in, and the place they were interested already had a contract or a renter, I would offer to help them more. I would look for locations and ask what they were looking for (inside the home). This way I can research this for them and try to have them as a client. I would also pick up my phone. I can’t tell you how many times I have called a Realtor who doesn’t pick up their phones or call me back. Most Realtor’s seem to want the full commission so if you call telling them you have a Realtor your chances are low. Now that I’m renting I call without a Realtor and it seems my chances are still low. What’s going on?